If you have been following along as we talk about the Ins-and-Outs of Photo Organizing, you are on your way to finally getting your pictures organized or at least you now have a better understanding of what’s involved for when you do start. Photo organizing can be a daunting process and can quickly become overwhelming if you have not figured out the motivation driving you to get this project completed in the first place. So, before you start or continue gathering and collecting all your photos, I encourage you to pause and consider these 3 motivators. 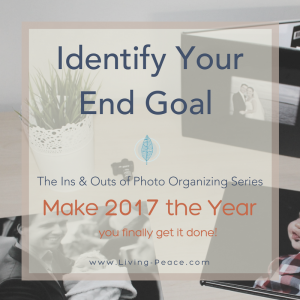 You may have begun this project thinking you just wanted to get them organized, so more than likely, one of these will be an added bonus, an extra push to make 2017 your year to finally get your pictures organized! You want your family to know who came before them and to remember their own milestones. • Preservation –You want to pass on your photos to the next generation so you have to protect them from pollution, acid, water, fire, hard drive crashes, and other disasters. • Backup – You know that some disasters are unavoidable so you want more than one copy of your most cherished images, preferably stored away from your home. • Identification – Photos are not meaningful to the next generation if there is no information about the who, what, where and when attached to the image. You love being surrounded by images of your loved ones and sharing them with others. • Scanning – Scan your images at the proper dpi. You can easily share them online or print out a few to hang on your wall. Consider whether you need to invest in photo restoration for those special pictures. • Tagging – Tag your images with themes so that you can quickly put together yearly photobooks and find images with the same tag name. • Storing – Store your photos online using a reliable service. This not only offers you protection but gives you easy share-ability with your family and friends. You love creating slideshows that celebrate someone’s life or achievement, usually requested for graduations, weddings, birthdays, and funerals. If you are lucky, you have the time to go through your print and digital collections to gather all the images you want to use. 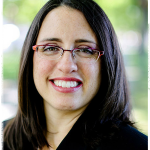 More than likely, you are on a tight deadline and you want to find great images that are already digitized. • Scanning – Scan your print images. Creating a digital version gives you the ability to access them whenever you want or need them. • Converting – Convert old media such as film, video, and audio tapes into their digital counterparts. • Cloud or portable storage – Again, not only safe guards your photos but gives you portability. You can bring your slideshow with you to your family event and share it after. Identifying your motivation affects how you’ll prioritize organizing your photos. So, what’s your end goal? – If you are more concerned with the legacy aspects than sharing or celebrating, you will want to prioritize gathering all photos and media and getting them stored in proper storage. Backup and identification would then follow. – If your primary motivation is that you want to share your images, then sorting the bad images from the good and digitizing prints takes priority. – If you would like to create slideshows, you’ll want to improve the metadata for your digital born images first and then go back to scan your print images so they can be tagged as well. Where are you in the photo organizing process? Whether you already started or you are just thinking about getting your photos organized, I’m here to help. Are you moving along or are you at a standstill? Have questions? Let me know in the comments below. Let’s talk! The Ins & Outs of Organizing your Photos: Backup Everything! Digital Photos – Backup & Storage: How Safe are Yours? Pingback: Photo Organizing – Follow the ABC’s!